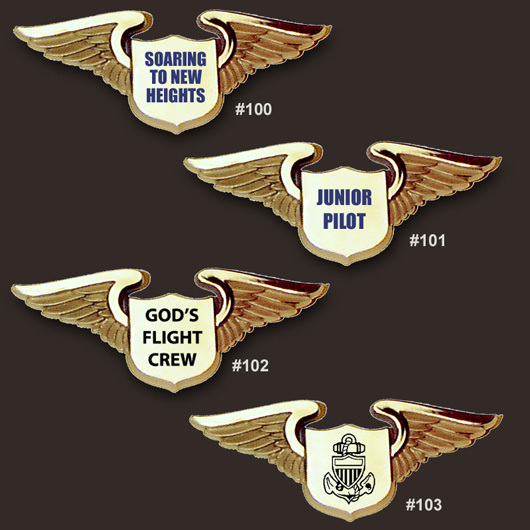 Choose from four stock layouts on our golden, Curtiss-style plastic pilot wings, packed 50 per bag. Orders usually ship out the next business day. With preprinted wings you get imprinted plastic pilot wings fast, in small quantities, and with no setup charges. Our Curtiss wings are Made in USA.